The Big Payback annual giving day is returning on Thursday, May 2, and The Arc Williamson County is excited to take part in this monumental event. a community-wide giving day that celebrates Middle Tennessee’s spirit of generosity and supports the life-changing work of area nonprofits. non-attorney advocates who are providing information to and advocating on behalf of children with intellectual and developmental disabilities and their families in special education matters. 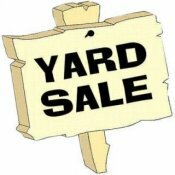 Follow the link for information and pricing. Your membership and support are important! Please Achieve With Us! REMEMBER! IF YOU NO LONGER WISH TO SUBSCRIBE TO THIS NEWSLETTER YOU MAY CLICK THE UNSUBSCRIBE LINK AT THE BOTTOM OF THE PAGE! The Author!Author! 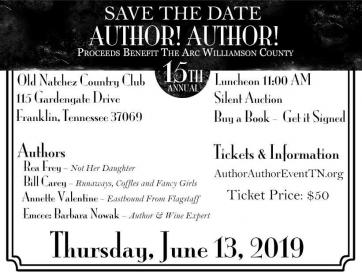 luncheon this year will celebrate not only literacy and the written word but the work that the Adult Learning Center has done since 1986 in Williamson County where they have worked tirelessly to provide free programs to help adults develop reading, writing, and conversation skills. Going forward, The Arc Williamson County, whose mission is to empower people with intellectual and developmental disabilities and their families to actively participate in the community throughout their lifetime, will continue with this annual event in the spirit of work of the Adult Learning Center. Over the years, The Arc and the Adult Learning Center have collaborated on numerous projects including sponsoring a literacy class for young adults with disabilities who wished to pursue their dream of receiving a high school diploma and developing Next Chapter Book Clubs in middle Tennessee. Please join us and Achieve with Us! Should you have questions or need more information, please contact Sharon Bottorff at 615-790-5815, ext. 3 or sbbarc@thearcwc.org. For tickets click on the image above. Come meet other 14-24 year olds with special healthcare needs, chronic illness, and disabilities that want a more inclusive world. Come learn about how you have a say in your healthcare. Click on the image below to register. In 1992, the Tennessee General Assembly passed legislation establishing a statewide Family Support Program. Statewide funding for this program is determined by our state legislators on a yearly basis. 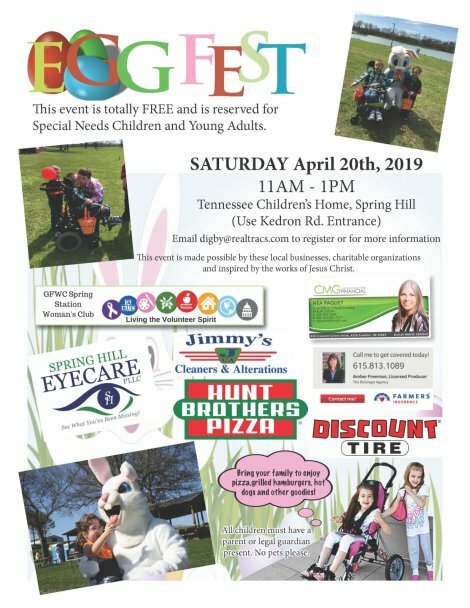 The program is administered by the State of Tennessee Department of Intellectual and Developmental Disabilities and managed in Williamson County by The Arc Williamson County. The program is designed to assist individuals with severe disabilities and their families to remain together in their homes and communities by providing financial assistance and community resource information. Some of the services that can be approved for reimbursement include respite care, before/after school care, minor home modification, specialized medical equipment, specialized supplies, health related costs, summer camp, and behavior therapy. The Arc Williamson County accepts applications at any time throughout the year. In order to be considered for Family Support funding, we must have a current, signed application and the necessary proofs-disability, citizenship, residency. The Application/Intake Form can be accessed by clicking here and The Family Support Handbook which further explains the program and the types of proof that are acceptable can be accessed by clicking here. After these are received by The Arc, you will be contacted so that we can determine if you will be eligible based on the state's definition of disability. You will then be notified in writing of your eligibility. If you are found not eligible, you will have 10 days to request a reconsideration. If your application is received after March 31st, your eligibility will still be determined but you will be placed on the waiting list until additional funding should become available. Please note that being eligible for funding and being approved for funding are two different processes. Also, please understand that being a current recipient of Family Support does not make you automatically eligible the following year. Should additional funding become available throughout the year, your information will be presented to the Family Support Local Council for approval. If you have further questions or need additional assistance please contact Sharon at sbbarc@thearcwc.org or 615-790-5815, ext. 3. The Tennessee Disability MegaConference is Tennessee’s largest disability-specific conference for individuals with disabilities, families, and professionals. At the conference, people share the latest information and innovations on many topics including housing, employment, education, health care, recreation and leisure, mental health, and others. Continuing education credits are offered in many categories. People attending make new friends and important connections as everyone works together to encourage the full participation of all people with disabilities in their own lives!